Biopolymers are endowed with excellent attributes such as biodegradability, biocompatibility and functional versatility, which render them an edge over other polymers. Today, they find broad applications in the biomedical field and pharmaceutical world. Nanotechnology has offered tremendous opportunities to design and tailor-make biopolymers augmenting their applications further. This book presents topical articles on the synthesis and applications of biopolymers, biopolymer nanoparticles and nanocomposites. The book includes chapters on conducting polymers, vegetable oils, chitosan and cellulose based polyurethanes, polymeric hydrogels, biopolymeric nanoparticles and nanocomposites, and their applications as drug carriers and sensors in cancer therapy and others. 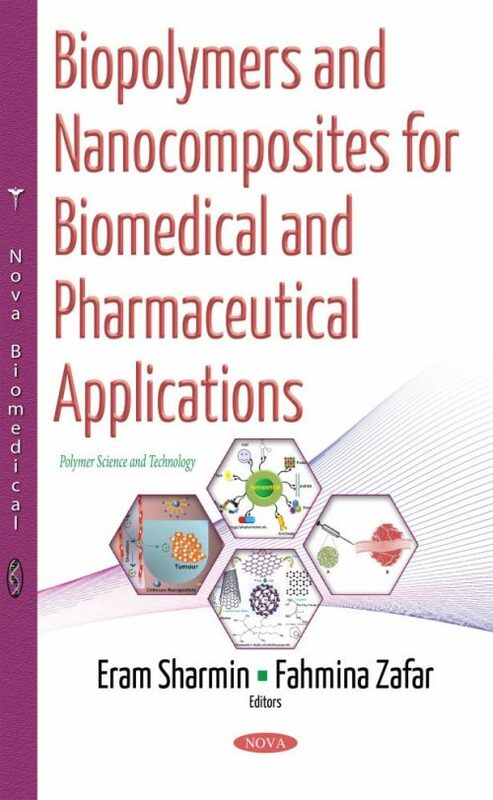 This book would be useful for students, scholars, and scientists interested in the synthesis, biomedical and pharmaceutical applications of biopolymers and their nanocomposites. The book would be useful for students, scholars, and scientists, interested particularly in the synthesis and biomedical and pharmaceutical applications of biopolymers and their nanocomposites.